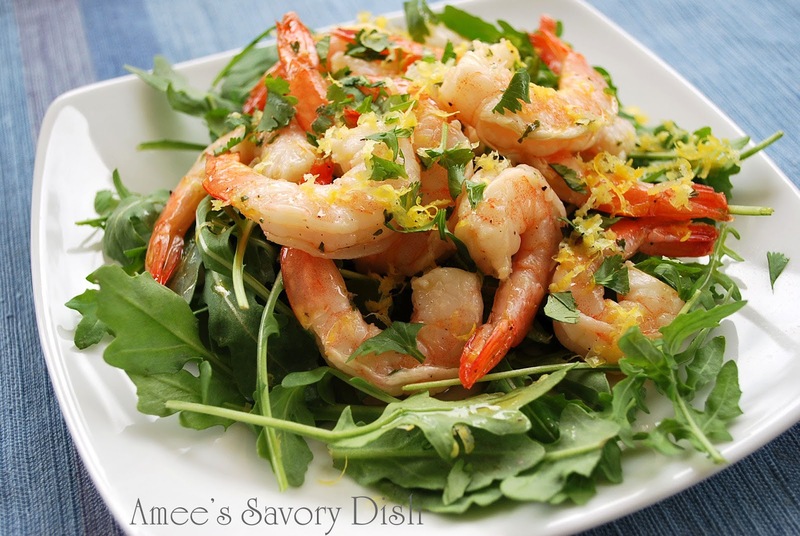 These citrus marinated shrimp are great for serving as an appetizer, in shrimp cocktail, or on top of a healthy green salad. 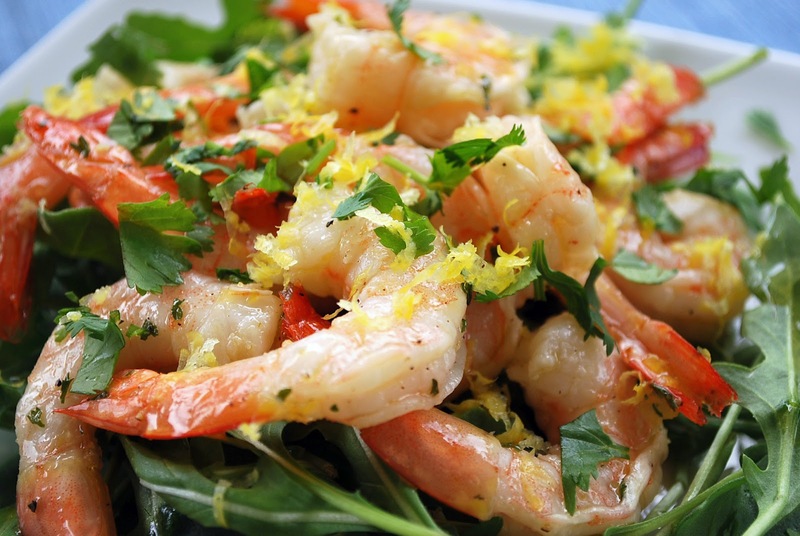 Whisk together all ingredients, except shrimp, in a large bowl. Place cooked shrimp in a large resealable bag and pour in marinade mixture. Seal and chill for 8-24 hours, turning bag occasionally. Serve on a platter over lettuce (I used arugula) and serve with toothpicks. You can also serve in single serve glasses with fresh avocado. Garnish with cilantro. Refrigerate any leftovers for up to 3 days. Whisk together all ingredients, except shrimp, in a large bowl. Place cooked shrimp in a large resealable bag and pour in marinade mixture. Seal and chill for 8-24 hours, turning bag occasionally. Serve on a platter over lettuce (I used arugula) and serve with toothpicks. You can also serve, as mentioned above, in single serve glasses with fresh avocado. Garnish with cilantro. Refrigerate any leftovers. Yum! I love what I see 😉 Looks like a scrumptious seafood salad! Oh WOW – what a lovely dish. Looks soo tasty – I’m not big on green salads, but this one is VERY tempting! Thanks for sharing. I want to jump through my screen and EAT THIS ALL!